Happy Halloween to our customers in Olathe, KS! Halloween Express will be returning to Olathe for our 10th year in a row for 2016! 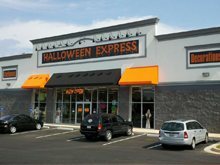 Halloween Express carries the absolute largest selection of Halloween costumes, props, decorations, masks and wigs in Kansas. 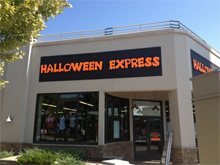 Halloween Express would like to wish all our Overland Park friends fun and spooky Halloween! You can still count on us to provide the greatest selection of Halloween costumes masks, makeup, wigs and decorations. We are located off or West 95th Street and are ready to provide great customer service and help make this Halloween the best yet! 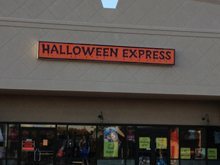 Welcome to Halloween Express in Wards Parkway Center. For the 2016 Halloween Season we will once again be carrying the absolute largest selection of Halloween costumes and Halloween merchandise available in Kansas.